Airfares can vary greatly depending on the airline, dates and flight restrictions. AIFS has partnered with Student Flights to offer you great value flights. Students Flights are experienced in travel for under 26s and can get special rates for young adults. For more information contact Student Flights on (02) 8512 9600 or email campamerica@studentflights.com.au today. Need a place to crash whilst travelling throughout the US? 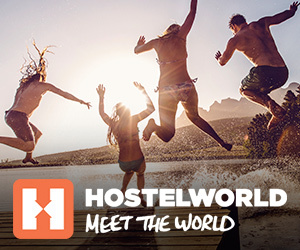 Hostelworld has some great options for shared, dorm or private room accommodation for young travellers. Click here to find the perfect place for you. Want to hit the road? Whether it’s a weekend getaway or an epic road trip from Los Angeles to San Francisco – you’ll have the time of your life with Aussie company Travellers Autobarn! You can choose from 3 pick up locations - Los Angeles, Las Vegas & San Francisco and all rentals include UNLIMITED FREE MILES!